Read all about Old Maggit! 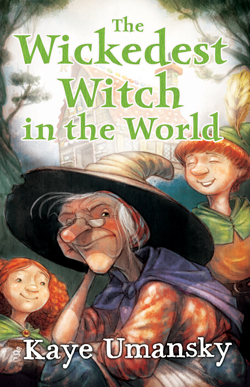 Old Maggit just wanted to win the Wickedest Witch Contest – it wasn’t fair that all those other witches kept beating her! So she decorated her house with sweets and gingerbread to tempt a couple of lost little children in, then locked one in the wood-shed, and made the other her slave. Well, that’s what she put on the application form. The truth is a little… different! Hilarious revision of the classic Hansel and Gretel fairytale.